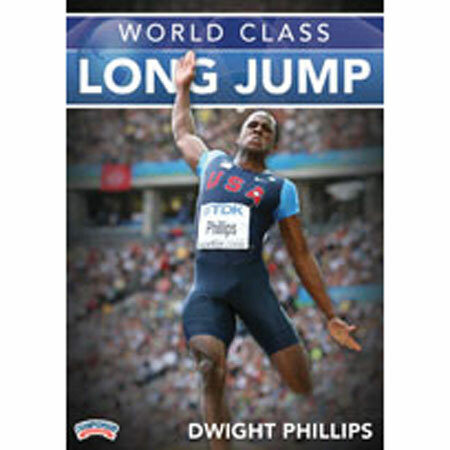 Learn the technique and training strategies that have made Olympic Gold Medalist and World Champion Dwight Phillips one of the most successful long jumpers in recent history. Phillips shares the 20+ exercises he uses in his extensive warm-up--the heart of each of his training sessions. This warm-up includes active stretching, range of motion exercises, and strength development exercises with a heavy emphasis on core strength, sprint drills, and exercises for explosiveness. Phillips teaches his personal tactics and strategies that he has developed and refined throughout his career. Discover how this world class longer jumper tackles each phase of the long jump as he discusses and demonstrates the drive, transition and penultimate phases. What makes this DVD unique is that several of Phillips' techniques and strategies are what some would consider "outside the block," especially when it comes to how he simplifies the skill set. Learn how Phillips approaches takeoff, flight, and landing mechanics and discussing what works best for him and providing alternative methods that might work better for a given athlete. Phillips provides four full run through approaches and four short approaches with jumps. These run throughs combine the approach, the takeoff, flight and landing techniques and provide demonstrations for your athletes to study and emulate. Phillips takes you through a season of training, breaking down each of the four phases of the season. In each phase, Phillips details a complete day-by-day breakdown of his training and includes examples of specific workout sets and training strategies for maximizing training time and efficiency. This segment offers a complete look at the season from early season through taper. In a bonus Q & A segment, "One-on-One with Dwight Phillips," you will learn more about Phillips' career and the ingredients to his success. 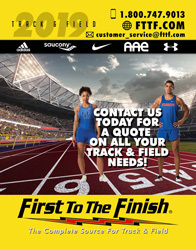 Improve the distance on your jumps and your long jumping program with tips and strategies from this world class long jumper!